Music « What's a Girl to Do? We buried my mother’s ashes on Saturday. They are now in the same plot as my father’s casket. My family doesn’t always do things promptly. Jan/Taffy died in December 2011. We arranged for her name, dates, and epitaph (“Short and Full of Life”) to be added to my father’s stone the following year. The ashes have languished in the house ever since. 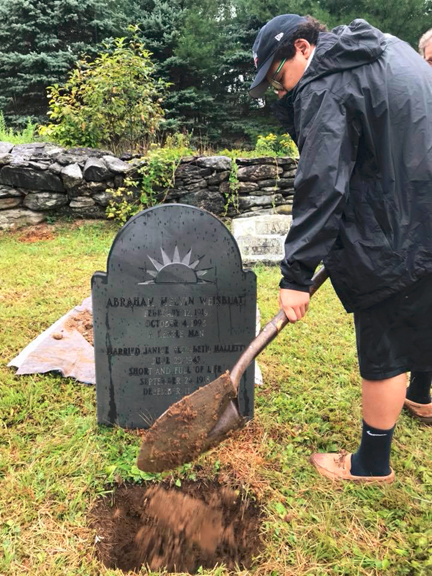 We were waiting until all four members of the immediate family could be in Massachusetts together long enough to accomplish the burial. 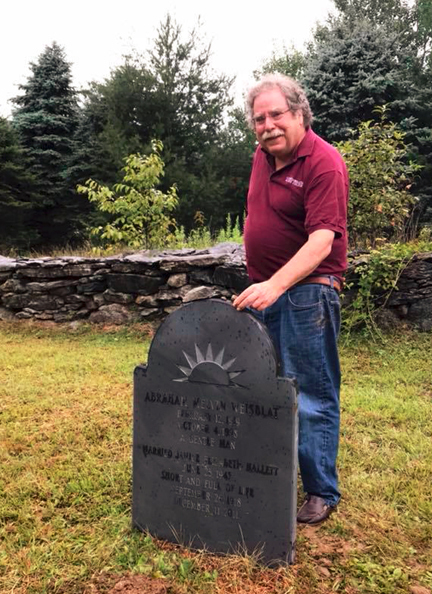 When I learned that my brother David, my sister-in-law Leigh, and my nephew Michael planned to visit me this past weekend, I emailed our neighbor Paul, who coordinates burials for the Pudding Hollow Cemetery Association. Paul asked me what time we would like the “ceremony” to take place. I laughed a little. We weren’t really envisioning a ceremony; we planned merely to pop the ashes into the ground and say a quick goodbye. We had held plenty of ceremonies in the year following her death. In the end, the experience of burying the ashes did have a feeling of ceremony. Paul arranged for a hole of appropriate size to be dug at the grave site. He generously left us a shovel and the dirt that had been removed from the grave. The day was appropriately gray and drippy at the cemetery, a lovely serene place where I myself will be buried one day. It was moving to be responsible for putting our mother into the ground ourselves and then covering her remains with dirt. I go to a lot of funerals and a lot of burials. This was the first I’ve attended at which no official was present at the actual interment. Having just the family there rendered the occasion intimate and sweet. Placing the ashes in the grave and covering them ourselves felt like a final act of caring for Taffy, six and a half years after her death, an act that brought our family closer together. In tribute to our father’s Jewish roots, we ended our time at the grave by placing a few pebbles on the stone. I wouldn’t recommend keeping ashes in the house for years as a general rule. Yet waiting did seem to help us. It made the death a little more remote and therefore less sad. We were touched, but we didn’t cry. Waiting offered us a dividend: labor. Michael was 11 when his grandmother died. Today he is a strong 18 year old, and he did most of the shoveling and lifting. I’ll be continuing to remember my mother in the next few weeks as we approach what would have been her 100th birthday on September 26. 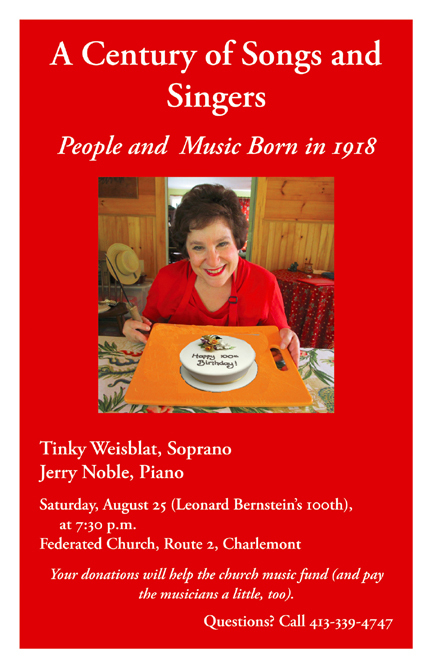 Next week, on Saturday, August 25, I’ll be singing a few of her favorite songs in a concert that salutes songs and people born in 1918. I also evoked her memory this week on television when I prepared her favorite coffee cake, Blueberry Sally Lunn, and then showed off the recipe and video in a blog post. I never feel that my mother is far away—but as I practice singing songs she loved, continue to nourish people with her recipes, and contemplate the headstone she shares with my father in the cemetery, I find new ways in which to celebrate her spirit and the gifts she left me. We’re in the midst of a frigid early January in most of the eastern United States. The year is still new, however. I like to make resolutions in early winter. I don’t see these as punishments for the person I was in the past. They are simply guidelines for the person I hope to be in the future. 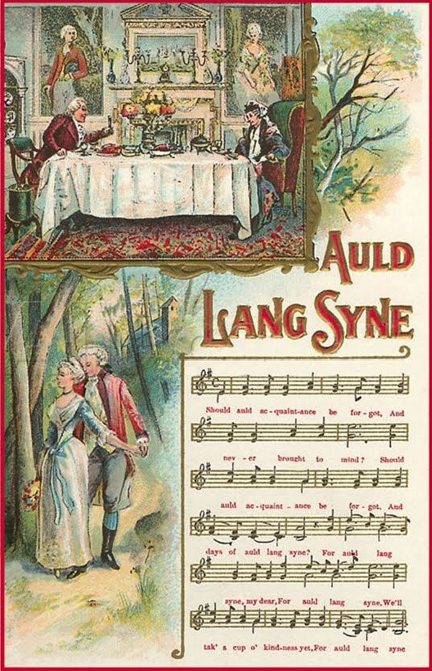 I DO always sing “Auld Lang Syne.” Like people the world over, I find the song’s nostalgic words and tune appropriate for a time in which we look simultaneously to the past and the future. I am struck by the words “a cup o’ kindness.” I know the cup in the song is definitely alcoholic. I like to think of it in different forms, however—a sweet cup of sugar or a rich cup of cream. Whatever the cup holds, it’s a delightful concept. As I lift my own cup, I have many resolutions. I hope to launch my new rhubarb book with fun and flair this coming spring and to perform in a 1918 centennial concert in the summer. This year is replete with musical 100th birthdays, among them those of Leonard Bernstein, Alan J. Lerner, Robert Preston, and my mother. Jan/Taffy wasn’t a musician, but she was a great lover of song. She sang every day of her life and taught me that practice as well. 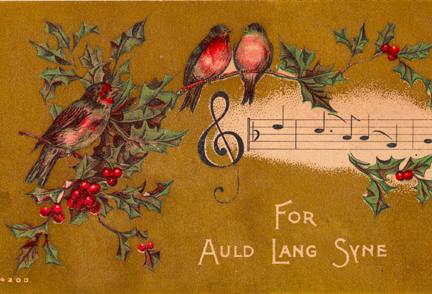 Above all, I hope we can live in a world where we pass around cups of kindness daily: for Auld Lang Syne, to make the present sweeter and more peaceful, and to teach younger generations to share love and kindness on a daily basis. A colleague asked me to send her a short essay about a song from the 1930s or 1940s that meant something to me. I HATE to waste essays, so I’m letting it do double duty on this blog. (I realize I have been absent for a while.) I hope to post something original to the blog soon. Meanwhile, please enjoy this little memory of my mother. Those lyrics are clever, wringing the singer’s (and the listener’s) heart through understatement. The singer says that he—my mother and I would prefer “she,” of course—is doing just fine, getting along very well without a departed lover. The important part of the song comes in the exceptions to this rule. I get along without you very well. Of course I do. The thrill of being sheltered in your arms. Of course I do. But I get along without you very well. The contrast between the exceptions and the statement of getting along give the song a gentle pathos. “I Get Along Without You” became popular in 1939. In that year (or perhaps in 1940, I never heard the full story!) my little mother was dumped by one of her boyfriends, Dean Woodruff. I never gathered that Dean was necessarily her favorite beau ever. Nevertheless, Jan was used to being the dumper, not the dumpee. And she was a huge ham; she performed frequently in amateur theatricals and liked to think of her life as a play. After she received Dean’s “Dear Jill” letter, she always told me, she spent a month or so singing “I Get Along Without You Very Well” around the house. She would pose dramatically in the stairwell and sing a few lines. Sometimes for effect she changed the line “Of course I do” to “You bet I do.” It was sung with just a hint of bitterness. When she performed it, she was a young girl again, living at her parents’ house before work and the war and life helped her grow up (although to tell you the truth she never completely grew up; she had a childlike qualities in 2011 when she died at 93!). She could enjoy the pathos of the song without having to feel the pathos of her broken relationship with Dean. And she could share with me her love of music as an expressive form, as a way to unlock personal and cultural memory. I sang it at her memorial party last summer. I took it just a bit higher than she ever did; she was an alto, and I’m a soprano. I tried to mimic her phrasing as much as possible, however. To tell you the truth, Hoagy Carmichael pretty much lays out the phrasing for the singer. I find the song charming—lightly dramatic and whimsical yet heartfelt. Just like my mother. I get along without her very well … except sometimes. 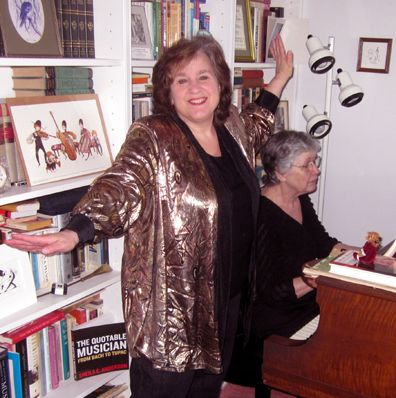 Here I rehearse for my upcoming Virginia concert with pianist Patty Pulju. As readers know, I’m spending this year evaluating my career prospects and figuring out how I can (whether I can?) make a happy and lucrative living in the years to come. Part of this process involves figuring out what I do well. Being me and therefore a bit too introspective for my own good, I’m not just wondering what I do well. I’m also wondering what it means to do something well. How much of what we are and do is nature? How much is nurture? How much is the perspiration so beloved of Thomas Alva Edison? My two greatest strengths—the ones that have brought me the most satisfaction in the past—are my writing and my singing. To an extent I was born with both of these—or at least trained to them. My mother was an excellent writer; my father, an excellent talker. They brought me up in a household that abounded with grammar, editing skills, and imagination (not to mention humor). My family sang all the time—in the house, in the car, at bedtime. My grandmother considered becoming an opera singer. She serenaded us with a sweet, strong soprano voice she passed along to several of her children and grandchildren. I recall family song nights around the piano in her house … and in the Play House at my summer home of Singing Brook Farm. There music flowed all around, like the brook that gave the farm its name or the rolling hills that sheltered us like a cradle. Of course, I pride myself on working at both crafts. I’m a rapid and intuitive writer, but I do spend time planning what I write—and editing it into better form. Likewise, I work at my singing: I rehearse often, recording songs about which I am unsure so I can hear the points at which my voice flags or goes off key. I also spend time researching the original context in which my songs were written and performed. 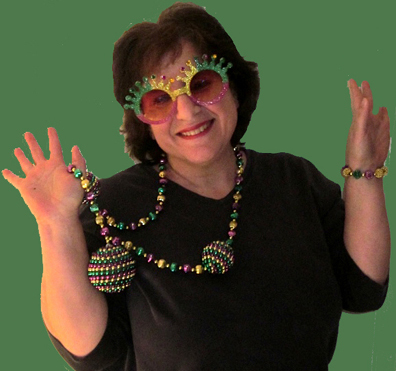 I don’t want to imitate the original singers, but I do want to understand why they did what they did—and why the composers made the choices they did—as I work on my own interpretations. Nevertheless, I know that I wouldn’t be doing this work, improving my prose and my voice, if I didn’t have a basic skill set to work with. So … do I have any right to be proud of what I do? My talent is just … a talent, an innate ability that I may help along but can’t really take credit for. In a sense every day I just borrow my mother’s writing voice and my grandmother’s singing voice. I find some solace in the OTHER definition of talent—not “natural ability” but (here I quote Merriam-Webster) “any of several ancient units of weight” or “a unit of value equal to the value of a talent of gold or silver.” In other words, talent is not just something we inherit. It’s something we spend. It’s up to me to use my talent well, to spend my artistic resources wisely and productively. This is a true challenge for me. One of my other natural talents is for spining wheels. I’m apt to waste both money and time. I hope at the end of this year I will be able to say that I am proud of the ways in which I used my talent. Readers, what are you proud of? How do you feel about your own talents? 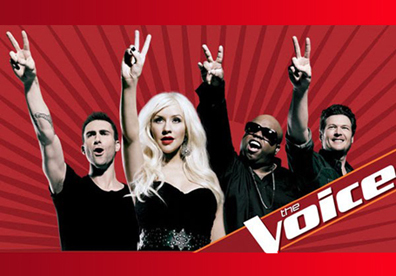 My family and I are following both of American television’s current vocal competitions, The Voice and American Idol. For years I was the only one among us who watched American Idol. I wasn’t always riveted by it, but since I hardly ever watched it live I could fast forward through the recordings of particularly abysmal performances. I figured it was my duty as a scholar of American popular culture to be familiar with the program. I also watched (and watch) America’s Got Talent and The X-Factor, although I’m not sure I can sit through another full season of the latter. 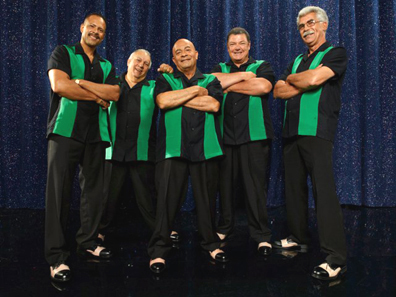 And I always adore The Sing-Off, which features a cappella groups singing their hearts out. I tend to wander off pitch without accompaniment so I take my hat off to the Sing-Off performers. North Shore, my favorite group from the past season of The Sing-Off. Don't ask me why I resent old white guys in government and love them on TV, but I do. Last summer while visiting my mother and me in Massachusetts my brother David, his wife Leigh, and their son Michael stumbled across an episode of America’s Got Talent on my DVR. Suddenly my relatives became talent-show junkies. We spend a lot of time together watching the two current shows. Although David, Leigh, and Michael don’t believe in fast forwarding it’s fun to have company while viewing the programs and even more fun to have someone with whom I can discuss them. Frankly, I’m torn about both competitions and what they mean for singers. 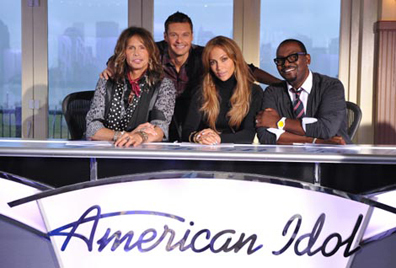 American Idol became a lot more fun last year with the addition of Jennifer Lopez and Steven Tyler as judges. Their wardrobes are entertaining, and their personalities, particularly Tyler’s, are engaging. He starts to make a comment that seems way, way off base—and then somehow goes on to demonstrate on-target knowledge of both human nature and the human voice. As an older performer and listener, however, I’m put off by American Idol’s age limit. Its contestants range in age from 15 to 28. I understand the emphasis on youth in a way; after all, the program hopes to uncover new talent. Nevertheless, the nation offers plenty of covered-up talent in the 29-plus age group. And sometimes one longs for just a little more maturity than these contestants can show, in their voices and their attitudes! As a singer I’m also frustrated by the ways in which Idol’s audience and judges seem to reward over-singing. It’s true that an idol needs to stand out in a crowd. Even so, sometimes a singer needs to let the words and the melody do their work. Too often these young performers can’t resist messing with both lyric and song–and receive applause for their misguided efforts. The Voice should be more appealing to me than American Idol, and in many ways it is. Its opening premise—that the final contestants are chosen by the judges sight unseen, merely on the basis of their sound—is brilliant and allows the show to highlight singers with a diversity of backgrounds and appearances. The Voice also lets its judges coach the singers. The judges/coaches come from a refreshing mixture of musical genres (Idol tends to focus in the main on pop music) and dole out more concrete advice than contestants receive on American Idol. Nevertheless, this program, too, tends to reward over-singing–particularly in the battle rounds, the just concluded episodes in which the coaches eliminate half of their team members by having those members face off against each other, two by two, singing songs chosen by the judges. The battle round is an interesting concept since it requires both cooperation (it is, after all, a duet) and competition (it is, after all, a fight). The latter facet of the round forces vocalists to pull out all the stops, which unfortunately sometimes does less than justice to the songs they are singing … and less than justice to their voices. I hope that as the weeks go by the contestants on The Voice and American Idol buck this trend. The world needs less over-singing and more pure singing. Meanwhile, my family and I will continue to watch and critique the programs. I only hope that my nephew Michael will suspend the critical eye and ear he has been honing when he comes to hear ME sing late next month. I want to continue to be one of his idols. Still, I’m glad he’s learning to listen for things like pitch, emotion, and lyrics in music as well as rhythm (like much of his generation, he adores hip hop, which is nothing if not beat centered!). We all need to be aware of music in our lives … and to be encouraged to make it. My next post will talk more about my own feelings about the nature of songs. Meanwhile, I’ll tune in tonight to see which Idol contestants continue on to the next round.